Join us for a night of networking and learn from successful women in our community. We’ll have drinks and appetizers at this Valentine’s- themed event. RSVP is REQUIRED. 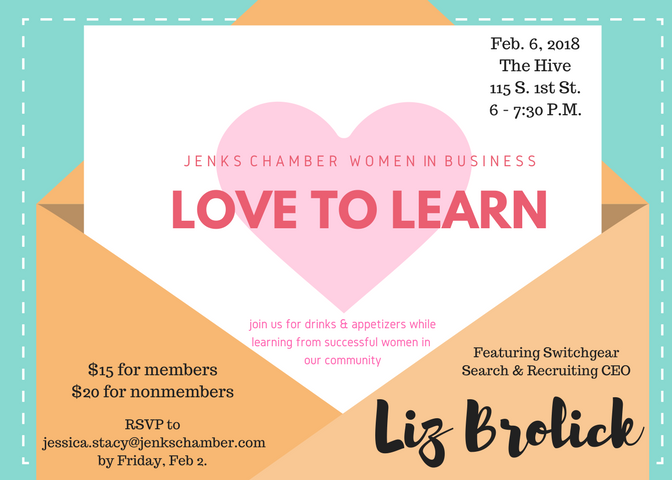 Send reservation to jessica.stacy@jenkschamber.com or call 918-299-5005 by Friday, Feb. 2, 2018.